Visibility/Location: GPS directs you well, however, I saw no signage along the major highway, and no signage along Weber road. The entrance to the attraction has some well lit signage, but there are some large trees just before it that made it difficult to see until we were almost passing it. We had to turn around and go back once we saw it. Wait Entertainment: Confusing. If you�ve ever been to Statesville, you know their wait line set up, which is basically being herded like a bunch of, well, prisoners, from one holding area to the next. So explain to me why, in the first two tented waiting areas, we were entertained by.... a couple of miners, and a clown? Crowd Control: Crowd control was awful. By the 4th room, we were in a �conga line� of about 20 people, with no motion made to split us up. ...and were immediately assaulted by a couple of miner characters. Miners. Yes, hard hat, jumpsuit, covered in coal, miners. This made sense later on, but trust me when I say, made NO sense at the time. Moving on.... it came to our turn to move into the first holding cell. about 25 of us were jammed in, then told to jam in more, verbally assaulted while guards outside shot at us and ridiculously loud music blared all around us. Beautiful use of an outside holding area, simple yet effective. After a wait, we were moved into the 3rd holding area. I could complain about this being another holding area, but for those of you that are repeat patrons of Statesville, you know this area well, and probably love it as much as I do - it sets the tone well! For those of you that don�t, this is where you meet the Warden. A beautifully detailed opening scene leaves you excited for more, no matter if this is your first visit or 10th. My only complaint here is that, as in years past, the music overpowers the dialogue, so you miss out on most of the story. Also, in years past, the Warden character really made some big movements, drawing your eyes to him and capturing your attention. Guys, your Warden needed a Red Bull. For the first time ever, I almost wondered if they�d replaced the live actor with a dummy. Barely any movement (until the end - which I won�t spoil for first timers) and just an overall unenthusiastic performance. Truly, it did not do the scene justice. After this, you�re moved into a 4th and final holding area, where a guard breaks you down into your smaller groups. My complaint here? 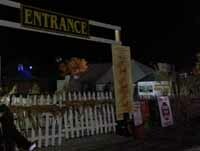 As we were standing at the far end, the next group to go in, there is a �cage� area where an actor taunts you. There�s also a door to said area... which this actor repeatedly SLAMMED INTO ME. PURPOSEFULLY. I know this, because when I said, �Oh, theres a door there!� after the first time, she said �Yep...� and then did it again. Rhythmically. And since I had nowhere to move, given that we were all shoved pretty tight into this area.... I had to endure 5-6 times of being SLAMMED INTO WITH A DOOR. You picked the wrong gal to do that to. From here, we were sent in, in our smaller groups. And immediately assaulted by an awesomely detailed, 2 story cell block scene. Actors from every angle, blinded by strobes, overpowering sounds, simple awesome. The detail continues throughout the house. In particular, the mental ward, and the hospital type area with a 2 story scene, was amazingly well done. More actors than I thought possible were jammed in here - and it WORKED, so well, I was oohing and ahhing here, for sure. Actors running at you, on the floor, suspended from the ceiling. The clown scene is another that always impresses me with the scale and attention to detail. I was able to truly devour this detail here, because the clowns were.... well, sitting there. Literally. Sitting. Half-heartedly taunting us. From their sitting positions. What gives? You�re in a room with some of the greatest potential for crazy in the entire place - and you�re relaxing. There was even a great little spot for a photographer to snap photos of patrons, mid scare... but I can�t imagine she was getting much, given that the clowns were.... sitting. The only notable actor here was the one strapped into a bungee harness - but even he was just jumping up and down from his platform. The whole room was eerily quiet - but not in a good way. The bus scene was fabulous, as always, and the actors here were high energy. The nasty bathroom was gorgeous and disgusting. In general for the rest of the house, the actors were all in awesome makeup, costumes were fitting, energy was a little lower than I would have liked. Scenes are beautifully detailed. I have to also mention that Statesville has an unusually high number of girls scattered through the house, and almost every single one was CRAZY in your face. Nice job, ladies. It�s refreshing to see scares being had by girls who barely come up to my nose. Nice use of space, hidden corners, and energy. Not putting down the guys, they were great, but a lot of you have size and general intimidation on your side. When I repeatedly see big burly guys in various groups being startled by females, it makes me proud to be a female in this industry. Definitely something to be proud of!! I have to stop here, for a second, to mention that, as a repeat customer for years, I can appreciate the detail of scenes, and the scale of some of them. But it is starting to feel a little stale. I would love to see a revamp of some of the major areas of the house. For example, as soon as I saw the faintest hint of red and white checkerboard, I knew exactly what I was headed into. Your first time customers are going to be impressed. But don�t forget about the rest of us that are shelling out $30 year after year, either. Once exiting the prison portion, we were directed into a second waiting line by.... a miner. Still confused about the miners, we got into the line, and were sent into the opening scene of City of the Dead. This is where the miner theme FINALLY became relevant. The City of the Dead is where the past inmates have been buried, and you�re headed into the mine shafts and excavation areas to be assaulted by zombies. I have to commend the miners, both out front and in the holding areas. All very engaging and entertaining, stayed in character the whole time, and had us crying with laughter from the second we set foot in this area. The detail extends through to this house, too. No corner is left undone, detail is amazing. A two story scene with a collapsing bridge was awesome! Costumes and makeup were fitting. Energy in this house was not quite as high as the majority of Statesville, but I have to admit I enjoyed this setup better than the theme in years past with the natives/voodoo feel. It seemed to make the two houses tie together much better. Overall, we enjoyed our visit to Statesville... but the $30 price tag, coupled with the repeat performances of years past, makes me question whether the drive and ticket is worth the trip anymore. 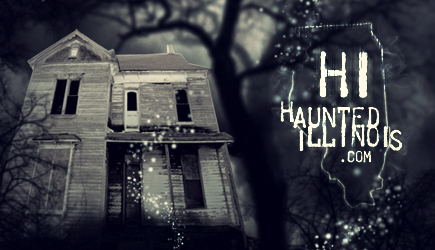 For a haunt that claims to be the best in Chicagoland, I could visit any other of the �Chicago�s Best� haunted houses for a cheaper ticket price, and receive the same caliber show. It�s stale, guys. And it shows not only in your house, but your actors as well. Time to revamp and give your repeat patrons a new punch in the face, like you used to be years ago.